How to deliver outstanding digital experience in 2016? Posted on 08-05-2015 by Peter W. Szabo & filed under UX Management. In this article I will show you a method of delivering outstanding digital experience. It is based on my holistic view of user experience, and the kaizen continuous improvement principles. The UX team at WhatUsersDo conducts dozens of UX researches, and as a summary I can say that the digital experience in 2014/15 is terrible. Globally. A good example in the Digital Experience Index published in March 2015. 100 users participated in this large-scale remote UX research, and the results were stunning: The 10 biggest banks in the UK were tested, 87% of the users experienced at last one conversion killer during an online housing loan (mortgage) application end-to-end journey. HSBC, the second largest bank on the world by total assets ranked last among the 10 tested. To find out more about this, I would encourage you to read our Digital Experience Index, March 2015. This article is about delivering an outstanding digital experience in 2016. So follow me on this journey. In UX there are very few rules that cross project boundaries. There is no “silver bullet”, except exposure to the users. Dozens of attempts have been made to define UX, but the real problem is the definition of UX. The problem is to define, what are the building blocks of UX and how those elements work together to deliver an outstanding digital experience. What are the 3 main categories of UX literature? Some associate UX with User Experience Design (UXD in the future), because this is where most of the deliverables are created; it is visible and easy to learn (but hard to master). This is how a layman would define UX. 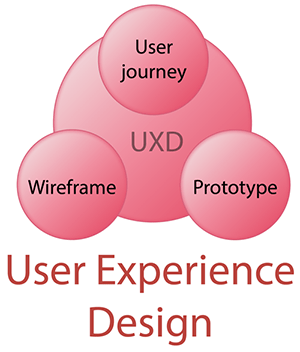 UXD can be defined as the road to a prototype. Personally, I don’t agree with that simplification, it shows that some people can and will think that the UX team is a prototype production machine, so prototyping has to be a core element of UXD. Usually the first UX design deliverable is presented as a wireframe, or some sketches. The difference between sketches and wireframes is a matter of execution/production, similar to the relation between low- and high-fidelity prototypes. The cornerstone of any good UXD is the user journey; making this is the third big landmark of the UXD section. Obviously actual UX deliverables can be derivate of one or more of the 3 elements mentioned. 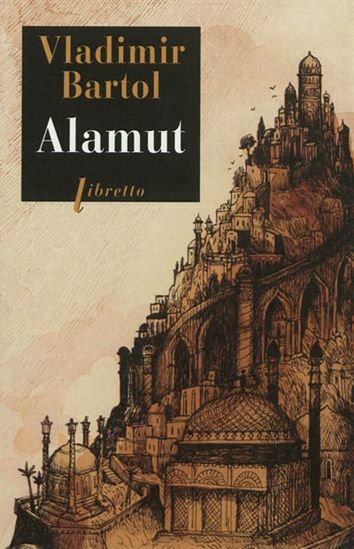 There are numerous examples of something containing wireframe and journey elements. Eg. a 4D UX Map or linked wireframes (example on the image below). At the dawn of UX, almost all articles where about User Research or User Experience Research (UXR in the future). Unfortunately nowadays some companies totally neglect UXR, ignoring the importance of valid user research and base their UX decisions on hunches or “best practices”. UXR has countless methods, test types and test designs (almost as many as there are problems for UX to solve.) Smart UX-ers tailor their research to the problem at hand, thus requiring the need to create a unique test design each time. That said, a UX practitioner needs to learn how to plan (research design), run the test (research execution), then work with the resulting raw data and gather insights (research analysis). This raw data can take the form of a horde of unruly numbers, or some user videos you need to watch. In some scenarios running the test and the analysis can be conducted in parallel. On the other hand, in an anthropological UX study, it is very hard to tell when “execution” ends and analysis begins. 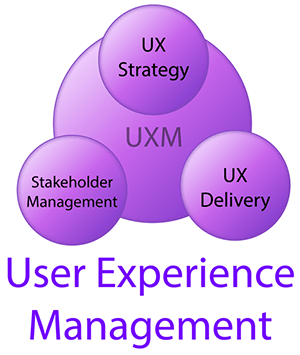 User Experience Management (UXM in the future) is a topic very few UX experts speak about. In fact, the number of articles published about UXM is minuscule compared to those on UXR and UXD. But this makes perfect sense, because the interest (based on Google Trends) is also a lot smaller. By looking at the graph below you can see, that the interest in UXD before 2006 was practically non-existent. But by February 2011 it reached the same level as UXR. I hope that in the next 5 years UXM will see substantial increase. It is an organic and very important part of UX, and similarly with UXR and UXD, UXM can be subdivided, as shown below. How to deliver outstanding digital experience 2016? I’ve been working on the Kaizen-UX process to deliver outstanding digital experiences since 2012. I implemented it at Initiale and after seeing its success I spoke about it at Superweek 2013, then at the Xth Simanyi Conference (Budapest, Hungary). In the past 3 years I kept perfecting it, and I presented its current state in the keynote speech in Manila, Philippines this year (2015) at UXMNL. As you can see, it starts with a UX Strategy, based on which we can plan the research, execute and analyse it. After the analysis is complete we will create wireframes and adjust the strategy based on the findings. From wireframes we create user journeys and from them a prototype. We then do another round of research on the prototype, refining and improving it. This circle (prototype from new research to an improved prototype) continues until we arrive at a prototype that is the optimum for our users (project constraints taken into account). When the prototype is considered “finished” we need to manage the UX delivery. From there on we need to go back to the Strategy phase because UX never stops. There is no such thing as the perfect UX project, and even if there would be one, it would become obsolete quite fast. My model emphasises the importance of UX communication in the form of stakeholder management throughout the whole process. The goal of User Experience is to make the world organisation user-centric. 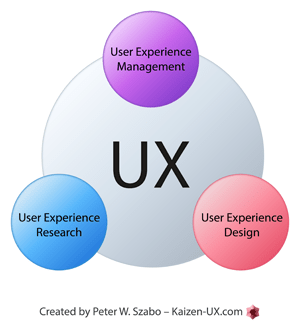 I hope my holistic UX view and the Kaizen-UX process will help the UX community reach this noble goal faster.